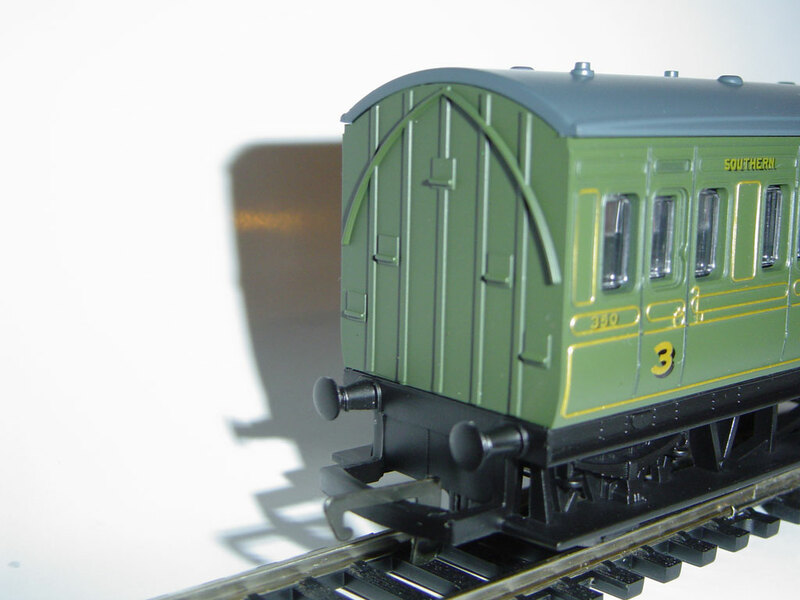 The Hornby four wheel coach has been around for many years with no noticeable retooling. It is difficult to review this model as it is not based on any real passenger coach being solely created and designed by Hornby. This means I have no reference point for this review. 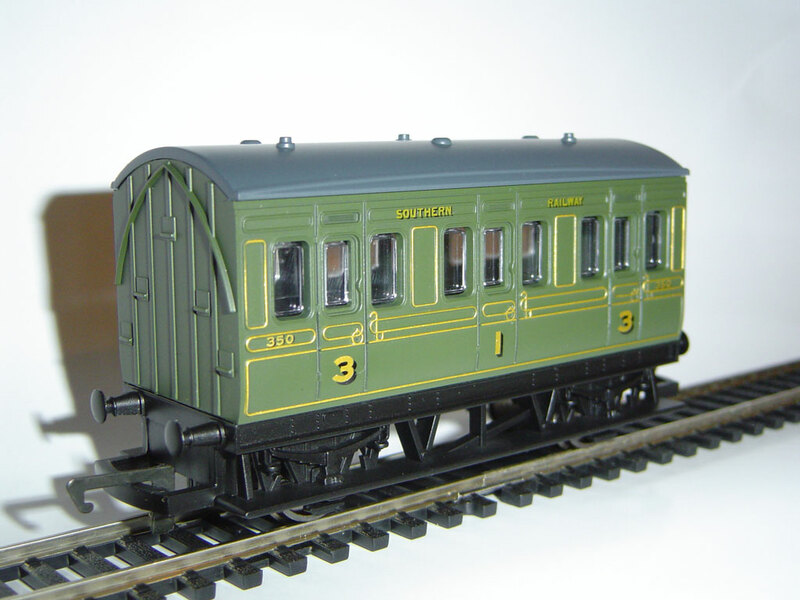 The four wheel coach has had some minor updates with the addition of metal wheels and transfers but has none of the more modern model detailing like NEM couplings or sprung buffers and I can understand Hornby for not offering them. The SR olive four wheel coach is no different being a very basic model with only transfers for detail. Saying that I still think it’s a good looking model. The gold painted trim and transfers make this model look much better than other versions. I can’t see this model being bought by series modellers that put the accuracy of their layout before anything else, but it is a nice cheap and resilient model that would suit the need for a passenger coach for smaller layouts and is ideally basic and thus resilient for younger modellers.